Okay, so most of you probably aren’t that worked up about the big wedding “across the pond,” but I’ll do anything legal (and free) to grab a keyword search. My alternate title for this post is “Where Did April Go?” because that’s how I feel. It seems like we just started the month and it’s already flown by. Maybe it’s the change in weather—the high temp in Harrisburg on April 1 was 45 degrees and as I write this we’re headed for 80-degrees plus. From winter to summer in four weeks. Ugh. Anyway, there are all kinds of activities on the Trails of History in May. Sites will be open on Memorial Day, but there’s no need to wait until then. May 27-28, Anthracite Heritage Conference—Friday’s session is “Why Study Anthracite: A Primer for Educators” and Saturday will continue with a variety of scholars and topics. Registration is required; there are discounts for members and for people who register for both days. You can find more details here. May 14, Craft Day—join in a day of 18th-century crafts and domestic activities. May 7, Annual Spring Nature Walk—local naturalist George Heasley will lead a walk through the woods and explore the beautiful setting. May 1, 18th-century Interpretive Sunday—visit with reenactors to talk about life in the 18th century and enjoy guided tours of the site (not to mention the beautiful park). 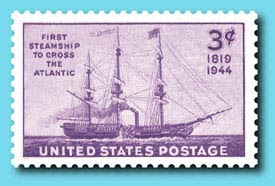 May 10, Steam Coffin: First Crossing of the Atlantic by a Steamship—speaker is John Laurence Busch, author of “Steam Coffin—Captain Moses Rogers and the Steamship Savannah Break the Barrier”; part of Cornwall’s monthly lecture series held at Cornwall Manor’s Freeman Hall auditorium. May 1, Children’s Day—learn about young Daniel’s early life in the Oley Valley and people who influenced him most; activities will take place all over the site and there will be special guided tours of the Boone House geared toward kids ages 4 to 15. May 1, Engine Start-Up Day—the air will be humming and clanging with the sound of steam engines and oil field equipment. May 28, Oil Valley Blacksmiths monthly demo—repeated the last Saturday of each month, through October. May 22, Victorian Fashion Show—presented at the Sharpe House; donation requested. May 14, Field Trip to Winterthur Museum—Ephrata Cloister Associates invites its members (it’s really easy to become one) on a trip to Delaware to see the exhibit, Paint, Pattern and People: Furniture of Southeastern Pennsylvania 1725-1850. Two items from Ephrata are in the exhibit and a number of past and present staff of the PHMC have served as resources. The deadline to register is May 1, so call NOW, 717/733-6600. May 15 and 22, Ephrata Cloister Chorus Spring Concerts—the chorus will perform music composed at Ephrata as well as other early American music at two community venues; more information here. 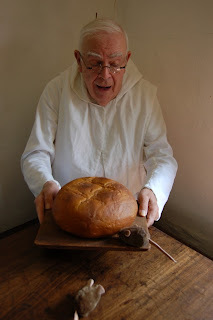 May 20, Community Day—this popular educational program allows students to explore the history of the Cloister and the people who lived and worked there; reservations are strongly recommended, call 717/733-6600. May 21, Mariner’s Ball—a benefit event in support of the Flagship Niagara, featuring food, entertainment, and a live auction; deadline for reservations is May 2, call 814/452-2744 x223. May 7-8, A Century of Soldiers: Pittsburgh’s Fighting Men in the 1760s and 1860s—reenactors will compare life during the French and Indian War and the American Civil War; held in conjunction with the PA Civil War 150 Road Show’s visit to the Heinz History Center. May 21, Venture Outdoors Festival—visit Fort Pitt during the festival for 18th-century fishing demos and a hands-on activity area. May 1, Battle of Crooked Billet Illumination—this evening program will explore a Revolutionary War battle fought in the nearby town of Hatboro. May 8, Mother’s Day Breakfast—enjoy breakfast and a tour of the Keith House (there will be a special craft activity for the kids); reservations required. May 14, Paranormal Investigations—this monthly evening program explores the house and grounds; reservations and pre-payment required. May 22, Tea for Teddy and Me—children can bring the favorite teddy bear or doll for tea and sweets, and a special kid-friendly tour of the Keith House; reservations required. May 6-7, Herb and Garden Faire—this annual event brings together over 70 vendors and artisans offering plants, garden décor, food, and more food. Check out the vendor list here. May 29, Spring Bus Trip to Historic Cold Spring Village—visit southern New Jersey to learn about life there during the late 18th to mid-19th centuries; registration is required and the deadline is May 21. May 1, Sheep Shearing and Historic Trades—watch the sheep sheared by hand and then help wash card and spin the wool; the blacksmith and joyner will also demonstrate their skills. May 8, Living History Theater—stop into the Best Kitchen to learn about 17th-century medicine and women’s role in caring for the family’s health. May 15, Open Hearth Cooking—see and smell what the cooks are doing with sugar and spices. May 22, Garden Highlights—spend some time in the kitchen garden to learn about the gardener and his work. May 29, Animals at Pennsbury—the sheep, horse, and oxen will help you learn about their 17th-century predecessors. May 21, Heritage Days Antiques and Collectibles Show and Sale—takes place on the grounds of the Museum and includes food and door prizes. May 1, A Revolutionary Affair—reenactors will be encamped to the field life of contract soldiers in the service of King George of Great Britain (program begins April 30). May 8, Bridge of Hope Mother’s Day Walk—walk the parade grounds as part of a fundraiser for single, homeless mothers in Centre County; call 814/466-6156 for information. May 22, A Celebration of Service: Honoring Pennsylvania Veterans—this annual US Army reunion and memorial service features speakers, military band music, and vehicle displays. May 28-29, World War II Revisited—American and German WWII reenactors will bivouac on the grounds to recall the European Theater of Operations, 1944-45; the Service Canteen on the afternoon of May 28 will feature The Andrews Sisters Tribute Show. May 30, Allegheny Mountain Region A.A.C.A. Car Show—the annual summer season kick-off features pre-war through modern classics; visit boalsburgcentral for details. 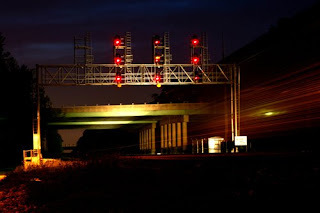 May 13-15, Conrail Days—annual program devoted to the history of the Consolidated Rail Corporation, presented in partnership with the Conrail Historical Society; see the complete program here. May 1, photography exhibit, Wood on Glass, closes to the public. May 14, Washington Crossing Brewfest—food, music, and beer from over 50 national and regional breweries; check the website for details. PHMC is partnering with the African American Museum in Philadelphia to present “Black History in Pennsylvania: A Communities in Common Workshop” on April 29 at Tindley Temple United Methodist Church. Participants will learn about a statewide historic resource survey and context study that documented African American heritage throughout Pennsylvania. For details, go here. April 30: Program, Oil Valley Blacksmiths Association demo—blacksmithing demos are held the last Saturday of each month through October. For a look at one of last year’s programs, go here. April 23: Children’s program, Spring Search—a variation on the seasonal egg hunt, children 11 and under look for historical clues around the site and collect stamps in their Heritage Passport. There's a nice story in the Lancaster newspaper about the program here. April 29: Children’s program, Community Days—students explore activities that made the community of Ephrata a thriving center of life in colonial days. Registration is strongly recommended, call 717/733-6600 (program will also be offered May 20). 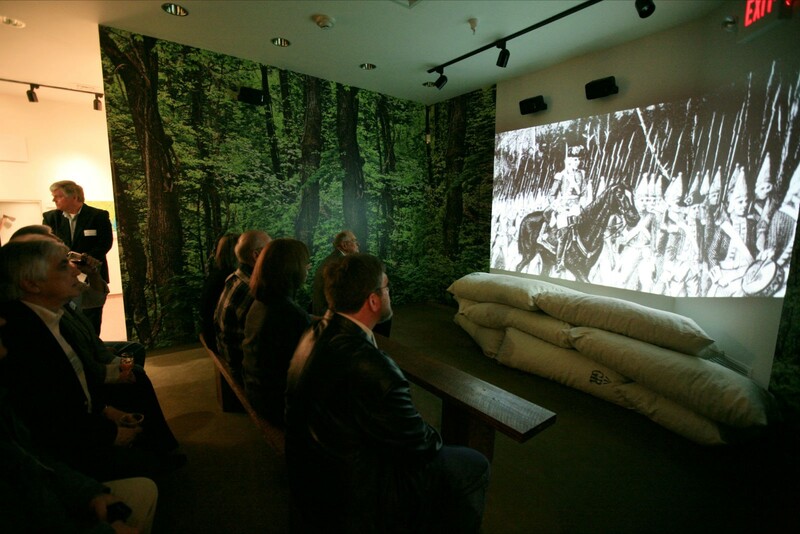 April 30: Program, Revolutionary War Reenactment—learn about life during the winter of 1777-78, when Graeme Park was occupied by the Continental Army. April 30: Workshop, Folk Art and Friendship—sponsored by Weathervane Museum Store; according to their Facebook page, there’s still space available but call 717/569-9312 soon. April 27: Program, Training the Iraqi Federal Army—speaker is Lt. Col. John Curwen, USArmy; he will talk about his experiences training the 6th Infantry Battalion of the Iraqi Federal Army in eastern Diyala province. Part of the Friends of PMM monthly speaker series. If you haven’t finished your taxes, quit reading this and get to work (I’ll have no part in your procrastination ritual)! Otherwise, enjoy an assortment of items selected especially for you (according to the post count on Blogger, this is the 100th post on Trailheads—we’ll be breaking out the streamers and party hats shortly). As you know from last week’s post Pennsylvania’s (and most of the country’s) commemoration of the 150th anniversary of the start of the Civil War took place this Tuesday. Governor Tom Corbett (see his remarks here) and legislative leaders spoke at a kickoff event in the Capitol Rotunda and were joined by historical interpreters from a variety of groups. PA Civil War 150 reported live on their Facebook page and Twitter, so I’ll let you check that out for yourself. Keeping with the Civil War theme, the Pennsylvania State Archives will host an open house on Monday, April 18, from 10 am to 3 pm. They’ll be showing off their newly renovated Search Room and highlighting interesting documents from the vast archival collections of the Commonwealth. Among the featured items is the 1865 letter book of Gen. John F. Hartranft, who oversaw the imprisonment and treatment of the accused conspirators in the assassination of Abraham Lincoln. In “The Conspirator,” which opens today in theaters, Hartranft is played by Jim True-Frost. (Never heard of him? IMDb says he’s been in some movies, mostly tv series—maybe this will be his breakout role). General Hartranft also went on to serve as Governor of Pennsylvania (1872-79) and is a subject of the recent PHMC publication, From Soldiers to Governors. Tomorrow, the Railroad Museum of Pennsylvania opens a new temporary exhibit, “Rail Traffic Control: Managing the Crossroads of Commerce.” The exhibit explores railroad signaling and communications through artifacts, photographs, and videos, as well as an opportunity for visitors to run a simulated rail traffic operation (hands-on isn’t just for kids, after all). The exhibit is in the 2nd floor gallery and will run through December. Charlie Fox, director of the Railroad Museum (and, in the spirit of blogger transparency, my husband), recently received an alumni award from the College of Arts and Architecture at Penn State University. Fox was honored by the Art History Department (he holds bachelor’s degrees in Art History and History) for his professional achievements and for his service to the College (he just finished a third term on the board of the alumni association). During the awards festivities, he had several opportunities to talk candidly with undergrad and graduate students about his experiences at Penn State and his subsequent career in museums. Next week is the official kickoff for Pennsylvania’s commemoration of the American Civil War, which began on April 12, 1861, when Confederate artillery opened fire on Fort Sumter, a Federal fort in Charleston (SC) Harbor (but you know that). 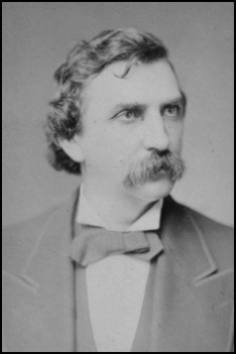 An event planned for the Capitol Rotunda in Harrisburg (Tuesday, April 12, at 10 am) will feature Civil War military reenactors and an appearance by Thaddeus Stevens (courtesy of Pennsylvania Past Players), in addition to invited speakers First Lady Susan Corbett, Speaker of the Pennsylvania House of Representatives Sam Smith, and State Representative Paul Clymer. They will be joined by PHMC Executive Director Barbara Franco. PHMC and the Pennsylvania Heritage Society are key partners in Pennsylvania Civil War 150; the Heinz History Center, Pittsburgh, and the Historical Society of Pennsylvania, Philadelphia, are the other major partners. Over the next four years, events will take place throughout the Commonwealth, as organizations large and small explore Pennsylvania’s role during this pivotal time in American history. If you know of an organization that is planning an event, encourage them to list it on the PA Civil War 150 website. The Civil War Road Show is a signature element in the Pennsylvania commemoration. Sure, there will be lots of attention paid to the Battle of Gettysburg during the sesquicentennial, but the Road Show will visit all 67 counties to emphasize the fact that every part of the state was affected by the war in some way. The 53-foot traveling exhibit trailer will help Pennsylvanians explore the Civil War stories of their communities while learning about other people’s experiences as well. The official launch of the Road Show and the start of the 2011 tour will be May 6-8 in Pittsburgh; to see the 2011 schedule go here. Trailheads will, of course, continue to update you periodically on the anniversary commemoration. Lots of stuff going on in April—let’s just hope it doesn’t get snowed out. Most sites on the Trails of History will be closed on April 24 for Easter, so it’s a good idea to check ahead before visiting. April 2: Workshop, From the Ground Up—offered in partnership with Penn State Master Gardeners in Lackawanna County, this program covers garden planning, understanding soil, and starting seeds. Reservation and fee required, call Steve Ward, 570/963-6842. April 3: Program, Commemoration of the 100th Anniversary of the Pancoast Mine Disaster—the Pancoast disaster was a devastating fire that started in the mine’s engine house (learn more here). Program is included in museum admission (free to Museum Associates). April 16: Program, Living History Day—check the website for more info. April 1: Bushy Run reopens for the season (open Wednesday through Sunday). Check out the new theater exhibit in the visitor center (photos from the preview event here). April 10: Program, Weiser Interpretive Sunday—a living history program for all ages. April 12: Program, Pennsylvania German Barn Stars: Celestial Symbolism in Folk Culture—speaker is Patrick Donmoyer, Historic Building Conservator for the Pennsylvania German Cultural Heritage Center at Kutztown University. Part of museum’s monthly lecture series held at Cornwall Manor. April 17: Program, The Rise and Fall of the Crinoline—village resident and volunteer Karen Esak will present an illustrated survey of changes in women’s fashions from the 1840s to the turn of the 20th century. April 9: Children’s program, Scout Day—a day filled with hands-on activities and fun for scouts. Registration includes a $1 per person discount over walk-in admission; call 717/733-6600. April 10: Program, A Musical Visit—join characters from Ephrata’s past to learn about the role of music in the life of the historic community; program includes performances by the Ephrata Cloister Chorus. Reservations required, call 717/733-6600; admission is $10 (Ephrata Cloister Associates receive a discount). April 23: Children’s program, Spring Search—a variation on the seasonal egg hunt, children 11 and under look for historical clues around the site and collect stamps in their Heritage Passport. 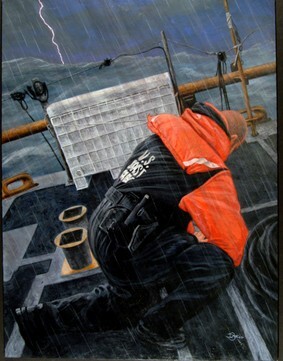 April 5: Exhibit—Paintings by artists in the U.S. Coast Guard Art Program, which uses fine art as an outreach tool for educating diverse audiences about the Coast Guard. The exhibit will be on display through Sept. 16. April 16: Program, Paranormal Investigations—reservations and prepayment required, 215/343-0965. April 20: Program, Elizabeth Graeme Fergusson Poetry Award—Friends of Graeme Park and Montgomery County’s poet laureate present a local high school student with a $1000 award; location is Ambler Theater. April 11: Program, 18th-Century Medicine—speaker is Wayne Skilton, 6th Pennsylvania Regiment (program will be held at the Parish House of St. Thomas Church). April 16: Event, Spring Clean-up Day—join the Friends of Hope Lodge to help get the garden and grounds ready for the spring (a pizza lunch will be served). April 3: Program, Meet Thomas Cooper—Cooper was a friend and supporter of Joseph Priestley; he edited newspapers, went to jail, and taught in colleges. Now through the end of the year: Exhibit, At Their Leisure: From Birds’ Eggs to Bicycles to Boats and Black-powder—How the Museum’s Founding Family Took Charge of Their Free Time—exhibit is located in the visitor center. April 2, 9, 16, and 30: Workshops, Folk Art and Friendship Workshops—sponsored by Weathervane Museum Store; go here for details. April 9 is also the Weathervane’s Spring Open House. April 17: Event, Spring Benefit Auction—a chance to support the site by purchasing high-quality handcrafted items. April 2: Workshop, Spring Garden Workshop—this annual event offers lectures, presentations, and hands-on activities; it qualifies as training for Master Gardeners. 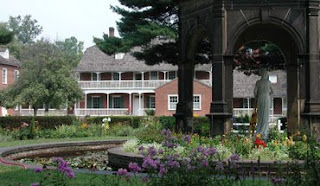 Tours of OEV’s historic gardens and greenhouse are included. Space is limited and registration is required, call 724/266-4500 x101. April 3: Program, Historic Trades—the joyner and blacksmith will demonstrate their skills. April 10: Program, Living History Theater, The Trial of Judith Roe—Roe was accused of the murder of a traveler who spent the night at her house in 1688; this programs explores the facts of the case. April 1: the Museum reopens for the season. Opening this month: Exhibit, Religion and Conflict—exploring the 2011 PHMC theme of religion and William Penn’s legacy as it relates to military conflicts throughout our history. April 16-17: Event, Battery B Drill Weekend—Civil War reenactors from the 3rd Pennsylvania Light Artillery will be encamped for training and will demonstrate proper artillery firing. April 2: Program, Railroads of the Civil War: An Illustrated History—speaker is author/artist Michael Leavy, who will also sign copies of his book. Included in museum admission, seating for the talk is first come, first served. April 16: Exhibit, Railroad Communications & Signaling—learn about rail communications through the museum’s rich collection of photographs, artifacts, and films; try your hand at running a simulated railroad. Exhibit runs through Dec. 31. April 4: Program, Pennsylvania’s Oil and Gas History—speaker is Dr. William Brice, professor emeritus, Univ. of Pittsburgh at Johnstown, and author of Myth Legend Reality: Edwin Laurentine Drake and the Early Oil Industry. 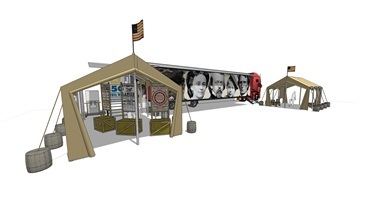 Drake Well Museum’s MEET-U mobile exhibit will be on site and open for tours. April 9: Workshop, Beginning Tatting—taught by Rebecca Hollenbaugh, who has 35 years experience with this centuries-old art. Registration is required; contact http://www.blogger.com/c-kcordek@state.pa.us. April 15-17: Workshop, Annual School of Coopering—this multi-day program teaches participants how to make a traditional maple sugar keeler. Registration is required and you can find more info here. April 17: Program, Tree-Vitalization—offered in conjunction with PA Dept. of Conservation and Natural Resources and in support of the exhibit, Wood on Glass (images from the lumber region during the late 19th and early 20th centuries), which runs through May 1.